The massive growth of Beijing has put undue strain on the city’s roads. And though there has been a proliferation of new roads built in and around the city, the construction has not kept pace with the amount of new car owners. Beijing’s traffic problem is a well-documented phenomenon in the international press. Most recently, the New York Times laid out the city’s struggles in a piece called ‘Multiplying Drivers Run over Beijing Traffic Plan‘. The pull of car ownership is very strong for China’s exploding middle class. The promise of access to the ultimate form of personal mobility means that Chinese citizens are not going to see an end to their desire for purchasing new cars. Car companies are elated. Nowhere but in China have I seen the variety of car makes on the road: manufacturers from the U.S., Japan, South Korea, Germany, France, Italy, and the U.K. are all represented. And of course let’s not forget China’s domestic brands. With consumer demand for cars only increasing and automakers more that happy to satisfy this demand, the Chinese government is left to deal with the effects of evermore cars flooding the roads. So far the nonstop road construction and subway expansion has done little to abate the traffic problem. So what to do next? Regulate. And that is what Beijing’s government has done. Last month the Beijing municipal government said it would limit new car registration in the city to 240,000 in 2011, about 1/3 the amount of the previous year! How’s that for top-down planning? 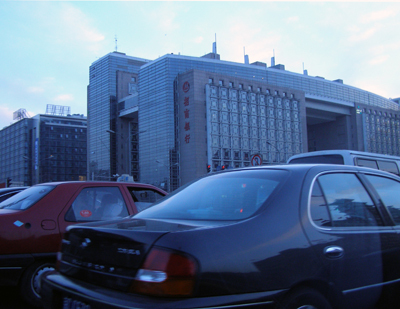 Beijing’s government has also implemented various restrictions on driving within the city center on certain days during rush hour times. Outside the city center (and around the entire country), tolls are in place to help maintain new highways and expressways. This is in contrast to the United States, where traffic cures such as congestion pricing and toll roads are still being argued about after years of debate. One thing is for sure, no amount of government restriction is going to put a stop to the Chinese newly discovered love affair with the personal automobile.